Tags: Front Open, Gown, Party, Purple, Shocking pink. 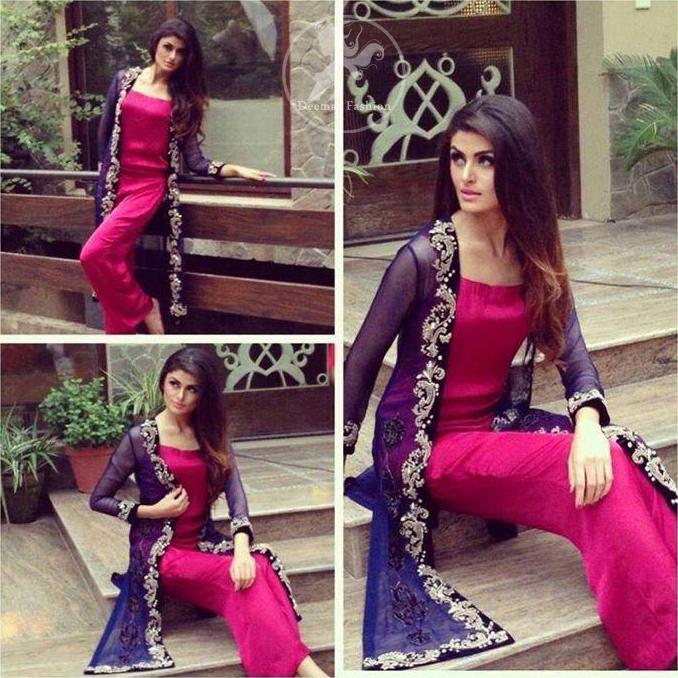 Purple chiffon gown has been embellished with resham work on center slits and border on hemline. Two motifs implemented on gown before hemline. Shocking pink schmoze silk jump suit.